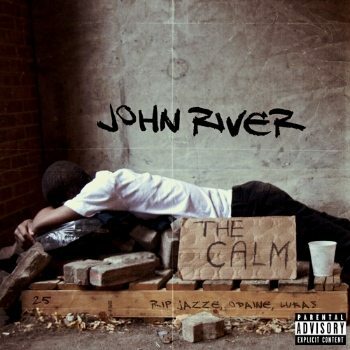 Young MC John River's new mixtape is wildly ambitious, but he makes it work. Believe it or not, John River is actually a rap pseudonuym. The 17-year-old Mississauga-based MC announces as much, as well as his actual name—Matthew John Derek Hughey—on “Seasons of Love,” the second song on The Calm. It’s an unusual choice for a rap name. An MC voluntarily renaming himself “John River” makes about as much sense as a black-metal band calling itself Pleasant Frolicking Kittens. But then again, John River is an unusual rapper. In a move that seems like a mistake waiting to happen, the young, largely unknown rapper’s debut mixtape is just this side of being a concept album. While it’s not quite at the full-on rap-opera level of Dr. Octagon or Deltron 3030, the songs are connected by a narrative that plays out over a series of interludes. Miraculously, River’s reach doesn’t exceed his grasp, and he manages to pull it off. The narrative makes sense, but the songs still stand on their own. The Calm is a big, ambitious, high-concept project. It’s a high-risk/high-reward move for a young rapper like John River, but, thankfully, for both him and his listeners, it pays off.